Customized memo notepad with pen is a super handy gifting choice for marketers who wish to win over their targeted customers easily. This memo notebook with pen has been a routine corporate gifting choice for years because marketers find it value-effective and affordable, too. We have been processing it for schools, colleges, educational facilities, kids promotional services, etc. It makes a great giveaway during tradeshows, business conferences, corporate picnics, and many more. Discounts can be availed on bulk purchases. You can request for a quote to know more about special pricing or value pricing, etc. 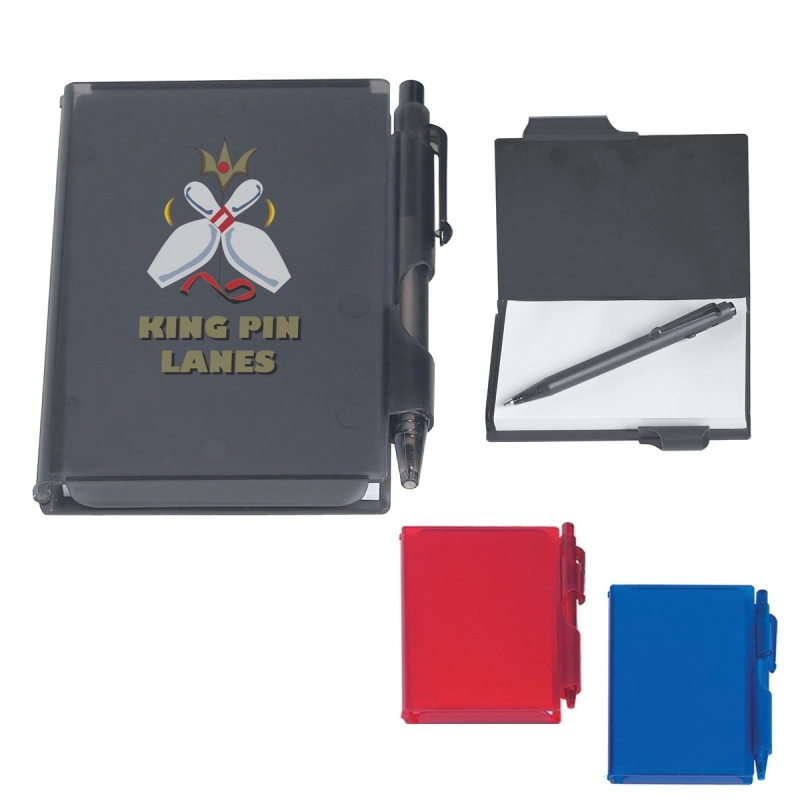 Features – Hard plastic case with matching pen. Colors available – Frosted: Black, Red and Blue. Available Colors: Frosted: Blue, Red , Black.